Vikas leads Kustomer’s Sales and CX departments, overseeing Sales, Business Development, Implementation, Customer Success, and Support. Over the last twenty years, Vikas has worked in a number of different roles and at market leaders like Oracle, LivePerson, and 8×8 in the CRM & Contact Center space in both North America and EMEA. Having worked with companies at all sizes and stages to leverage technology to enhance their people and processes to best acquire, grow, and retain their customers, Vikas builds teams that follow his ethos – that our responsibility is to deliver knowledge and value in every conversation that we have with our customers and partners. Vikas enjoys the camaraderie and responsibility of building a team. Echoing his philosophy of – work hard, play hard his teams are known to deliver expertise at every engagement in the customer journey while taking the time out to have fun with one another, customers, and give back to the community. No brand sets out to deliver a poor customer experience but priorities, resources, budgets, and expertise often get in the way – our teams create the blueprint to minimize those obstacles. When not flying around the world evangelizing Customer Experience with the market, his teams, and customers Vikas can be found at home on Long Island surrounded by his wife and daughters. 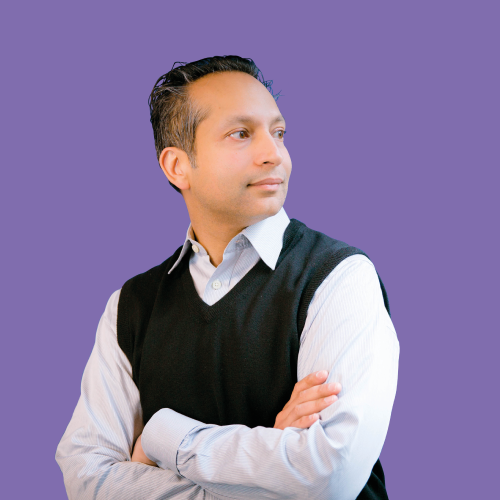 Favorite Food: As unofficial Chair of Kustomer’s Supper Club Vikas has been known to take down a steak or two.